New releases of iOS are always pretty exciting. 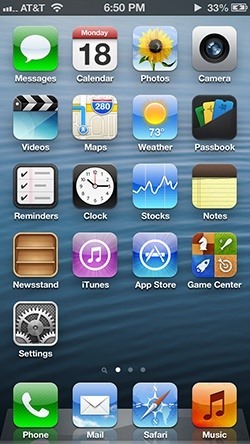 I remember the anticipation buildup of iOS 7 before it was announced at WWDC 2013, as it was expected to be a complete game changer compared to previous versions—and it was. 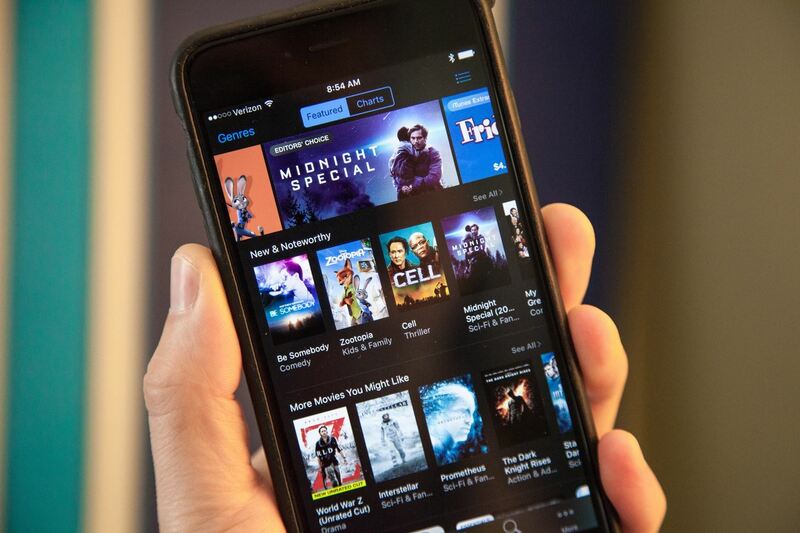 Now, with WWDC 2016 right around the corner—starting on June 13, 2016—the anticipation is reaching a fever pitch yet again as we prepare for the arrival of the tenth iteration of Apple's mobile operating system. With the groundwork laid out by iOS 9 and with the milestone tenth release version coming soon, we believe that iOS 10 is going to be quite a huge upgrade. 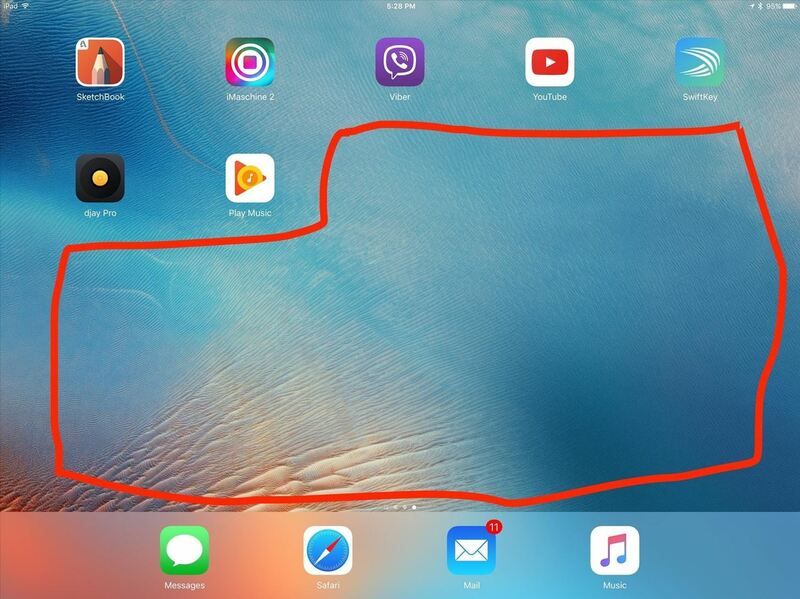 In that vein, here are 10 must-have features we think should be a part of the upcoming iOS 10 for iPad, iPhone, and iPod touch, in no particular order. Simply put, iOS needs a file browser; a central location where you can go to quickly manage all your files is highly essential, to say the least. 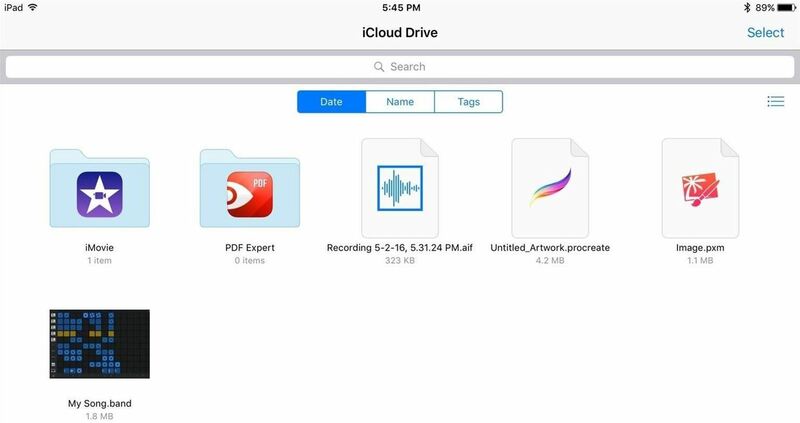 Apple introduced the hidden iCloud Drive app in iOS 9, which gave us a glimmer of hope—but that's just for cloud-based files. We want something for on-board storage. If a Finder-like feature makes its way to iOS, Apple will most likely hide access to system files (which could possibly be bypassed by jailbreaking) to prevent users from deleting important files that make iOS run so smoothly. Regardless, even limited Finder functionality will allow us to perform more complex desktop-like workflows, making iOS even more useful. iCloud Drive provides hope for an iOS Finder. Your friends are over at your place, pre-gaming, hanging out, or doing whatever, and now they want to use that cool new iPad Pro that you just bought. But you have some questionable content on your device and are hesitant to let them view it, so instead, you hover over their every action, or set up a complicated and clunky Guided Access screen. 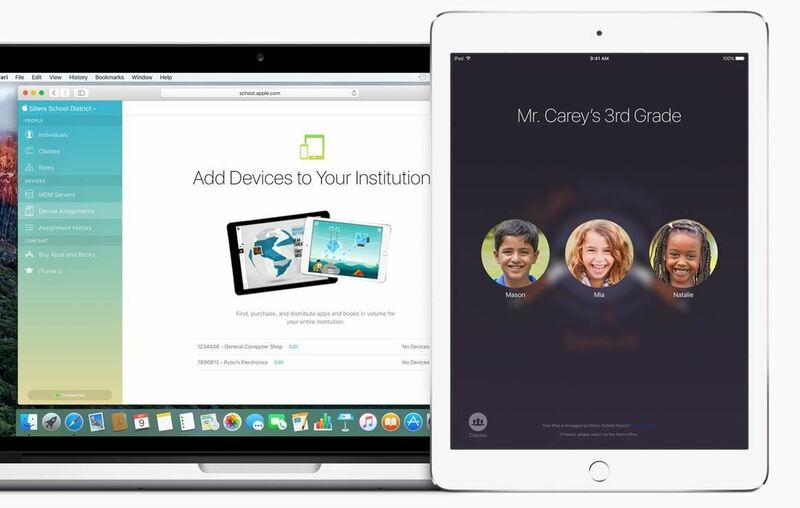 Apple recently introduced multiple user support for iPads in education, meaning the framework for multiple users is already present in iOS. This strongly hints that the floodgates for multiple user accounts for everyone might breach very soon, most likely with iOS 10. 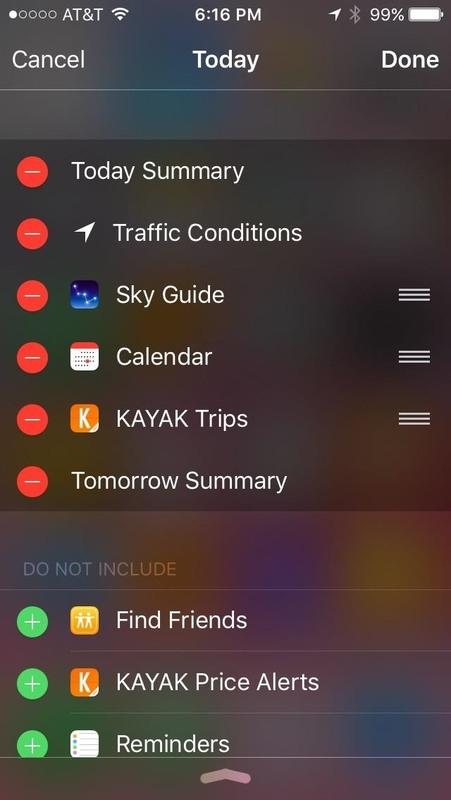 You can easily customize the Notification Center, so why not do the same with Control Center? I should be able to go beyond the rigid presets and quickly change the toggles and app shortcuts to my liking, making it a lot more useful for me personally. Honestly, this should have been introduced with iOS 7 back in 2013, so hopefully Apple will finally deliver it this year. (1) The customizable Notification Center. (2) The as-is Control Center. 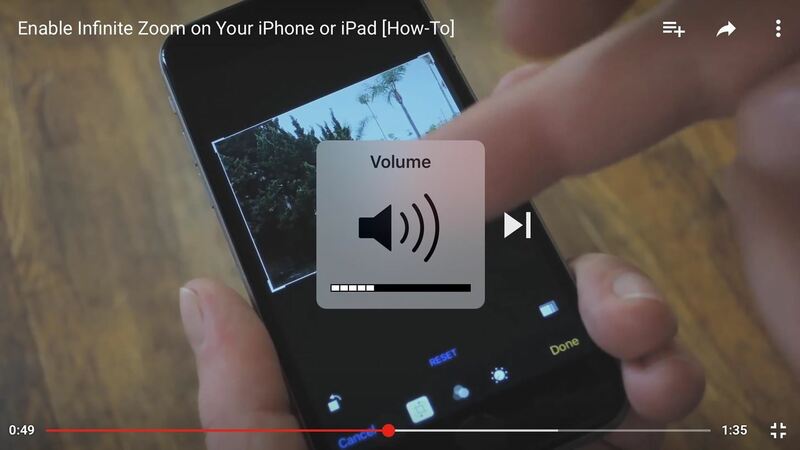 iOS volume controls have never been that great. 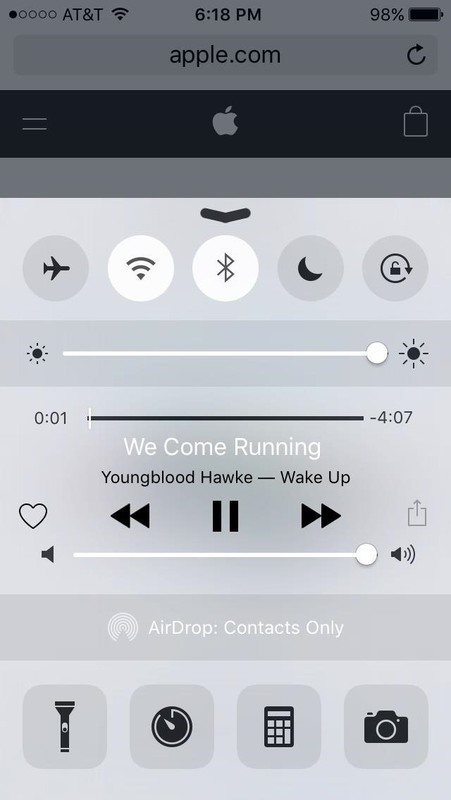 First off, the volume HUD is just flat out annoying, especially when watching videos, and that's why there are so many workarounds and jailbreak tweaks to getting rid of it. Hopefully, they'll finally realize we all hate it and put something less obtrusive in iOS 10. Dead center. Pretty annoying, right? Second, the controls are all over the place for various system volumes. 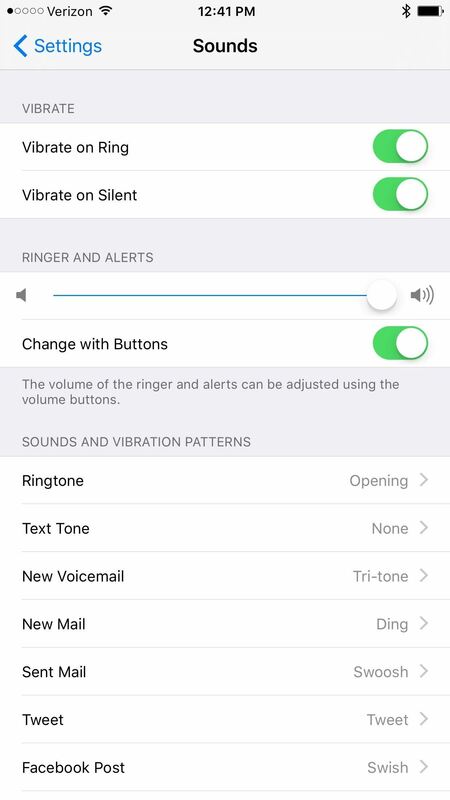 You can change ringer and alert sounds in Settings as well as from most other other screens, but they can't be at different levels. And you can only change media volume while you're actually playing it, or from the Control Center. Pretty confusing, right? Apple should take some inspiration from Android Marshmallow, which implements superior volume controls; separate sliders for notifications, media, and alarms would be very welcomed in iOS 10. 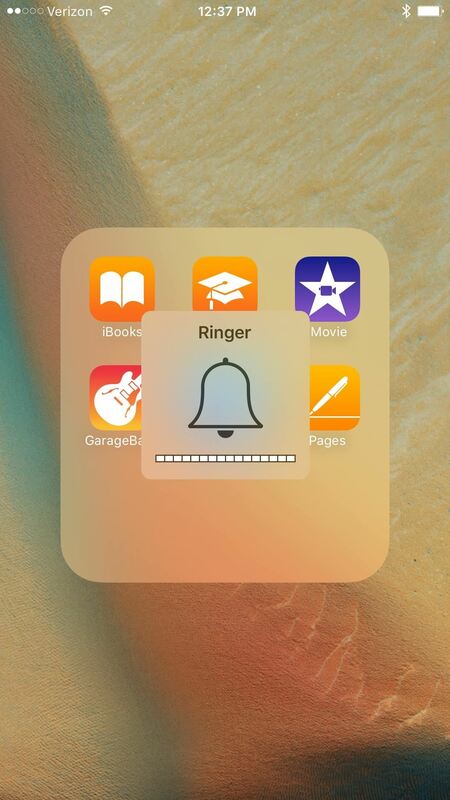 (1) Adjusting ringer volume. (2) Sound settings. (3) Android's pull-down sound controls. iOS should allow landscape mode for on the home screen for all devices, even the 4-inch iPhone SE with its impressive specs. Furthermore, more stock Apple apps should have landscape mode built in period, especially the Music app. Why can an iPad have Music in landscape but not the Plus model iPhones? 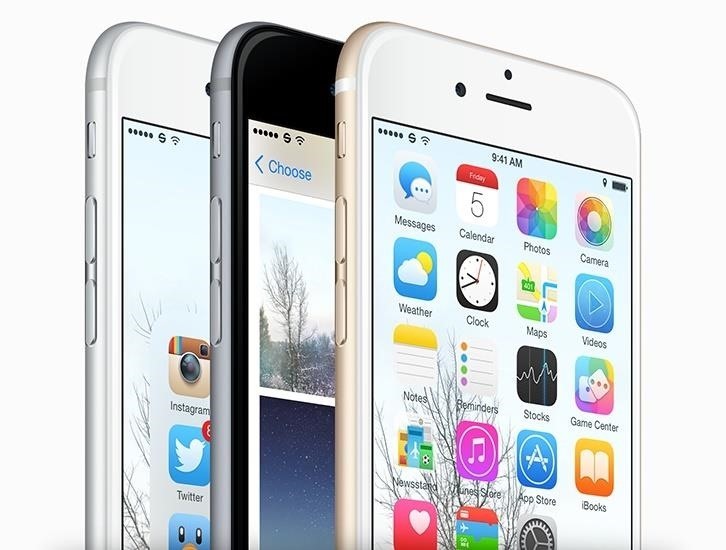 The iPhone 6 Plus and 6s Plus have the right idea when it comes to landscape. iPhone SE, iPhone 6, and iPhone 6s have the horsepower for multitasking, so at the very least they should get picture-in-picture mode. And the Plus models definitely have the screen real estate for running two apps simultaneously, so why not let them in iOS 10? Multitasking in general should get an adrenaline boost in iOS 10, considering that iOS 9 began the path for true multitasking. Whether it's a better app picker, drag and drop between different apps, or running more than two apps simultaneously, multitasking enhancements will greatly benefit iPhone users all around. iOS 9 multitasking for iPad was a solid foundation to build upon. Yes, iOS 9.3 introduced Night Shift, duplicating f.lux's functionality (a much-welcomed addition)—but I want more. 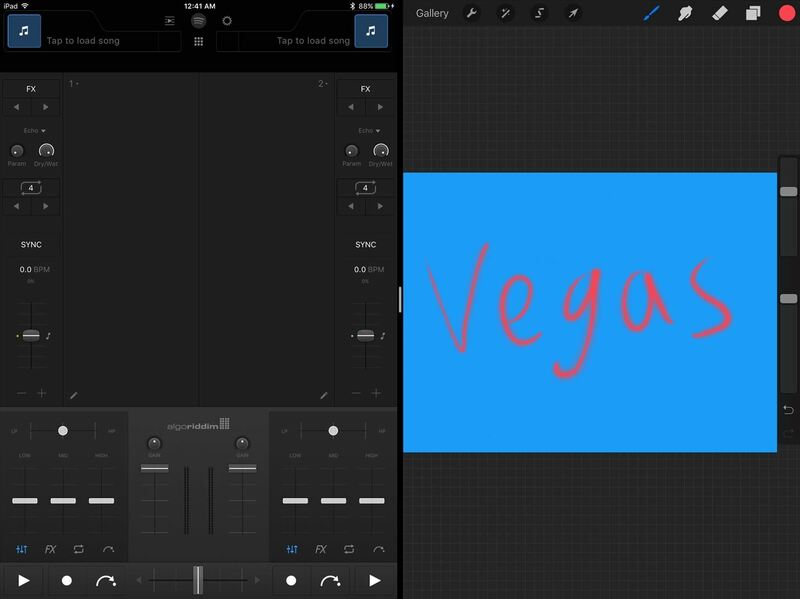 I'm talking about a dark mode theme for iOS 10, the envy of non-jailbreakers all around the world. This option would essentially switch all the bright white elements of the UI with darker colors. Besides giving iOS a new aesthetic, a dark theme would be a nice alternative to those who don't like the blue-less Night Shift mode that helps reduce eyestrain and sleepless nights. Apple was going in this direction with the dark keyboard in an iOS 7 beta build, but it never made it to primetime. Most likely, you have a bunch of "useless" default apps, so you hide them all in one folder. There is a way to currently hide Safari, Camera, iTunes Store, Podcasts, News, and FaceTime, as well as iCloud Drive, but that's it. What about all the other stock ads, I mean apps, such as Apple Watch, Voice Memos, Reminders, iBooks, and Mail, which you can only temporarily hide with glitches? iOS 10 should offer the ability to not only hide stock apps, but uninstall them as well so we can save some previous storage space. And obviously, there should be an easy way to reinstall them if you change your mind (by having them appear in the iOS App Store). 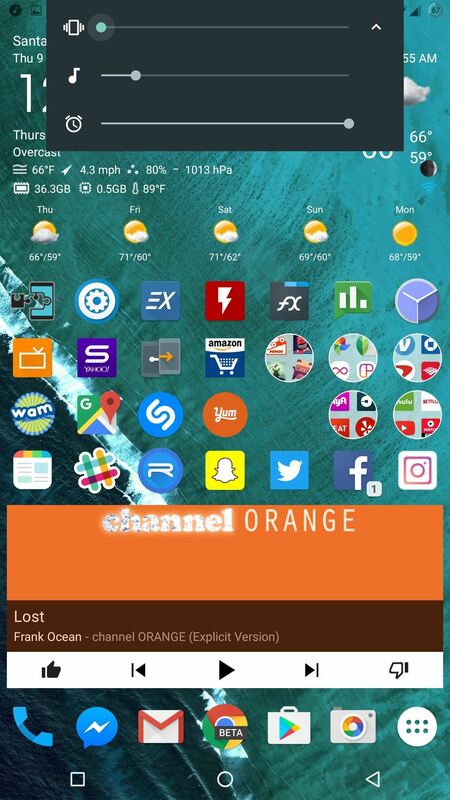 We have good reason to believe uninstalling stock apps is coming, so cross your fingers. Quite a waste of space. This one is more about iPads since they have plenty of screen real estate—screen real estate that is totally wasted on the home screen. Some might like it as is, but I think Apple can do something really cool with all that empty space. At the very least allow you to add more apps and folders. But what's better than more apps and folders? Widgets—something way better than the current iOS widgets system. Not a replacement, just an addition. I'm left scratching my head with how iOS can solve this dilemma, but hopefully it'll look something like this. What to do with all this free room? 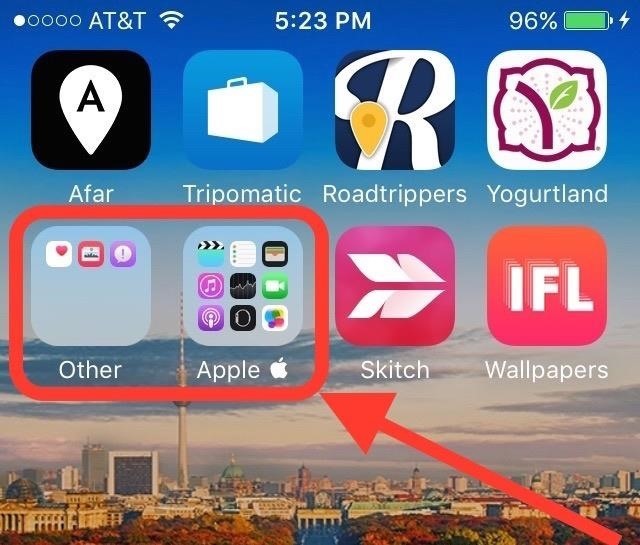 The static iOS icons work, but as you know they are quite boring. I hoped that the animation of the Clock app icon in iOS 7 was a sign of things to come, but more than two iterations later, they're still the same static icons, albeit with some minor changes. Take the Weather icon, for example. It could display the current temperature inside its actual icon. 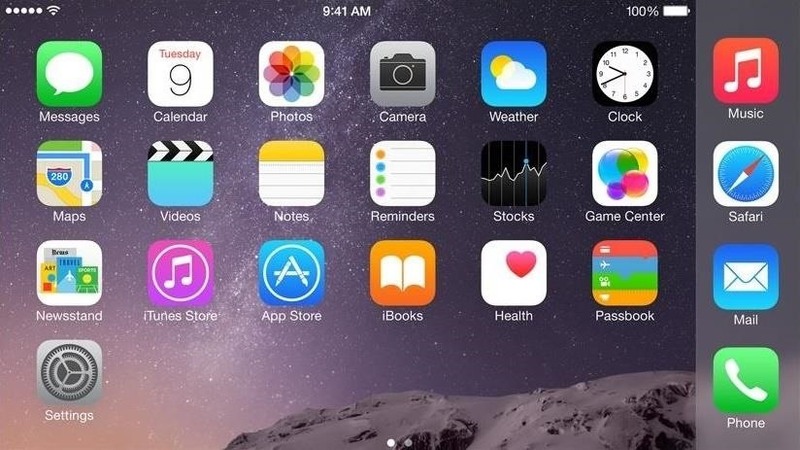 Apple can also get creative here, allowing certain app icons to increase in size to display more information. 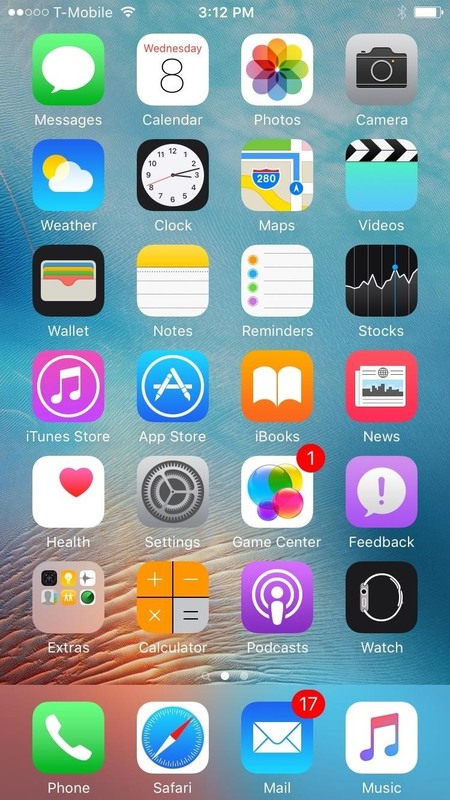 3D Touch seems to be the solution that Apple is adopting to make the icons more useful. While it's a solution, not all devices support it at the moment. I would like there to be some alternative for devices that don't have 3D Touch, but you know how Apple is with forcing new technology upon us. 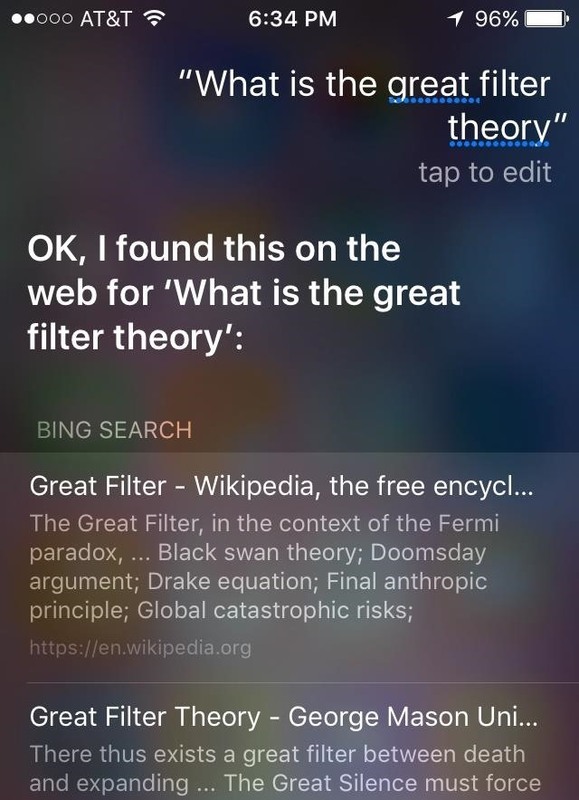 Siri and Spotlight search are meant to be "intelligent" assistants for iOS, but they can be even better. For example, don't you hate Siri's "Here's what I found on the web for [your search query]" response? I'm personally baffled by the fact that OS X defines a word for me in Spotlight (for many years now), but iOS links me to Dictionary.com, completely ignoring its built-in dictionary. Aside from fixing these annoyances, there also needs to be new features. Last year, iOS 9 introduced the Spotlight API for integration with your apps. It only makes sense for iOS 10 to unveil a Siri API to integrate with your apps as well, making the service a lot more useful. (1) Not very efficient. (2) Why not just use the dictionary that iOS already has? The late Steve Jobs uttered the famous "One More Thing" line during his keynotes. In honor of that, I want to add one more thing to this list. Apple fans all over the world, myself included, would really like to see iOS become more "fluid," which is just a fancy term for having the operating system become more open in its abilities, up to a certain degree. Without a doubt, the "walled garden" of iOS offers benefits, primarily security. While security is a top concern, there are instances where iOS can be loose without compromises. There are lots of benefits to this, whether it's something obvious such as iOS being able to add custom ringtones without iTunes or the ability to add your own wallpapers to the Control or Notification Center. Then there's arguably the holy grail of it all, the custom theming engine. Allowing you to theme your device, changing the look of the icons and more, to however you want. Jailbreaking has long allowed this ability, primarily via Winterboard, and I'm sure it'd be a big hit for Apple if they allowed this by default. Realistically I doubt this will happen soon, since Apple (i.e., Jonathan Ive) takes great pride in their design and is adamant about controlling it, but I'm hopeful that Apple will "open up" other aspects in iOS 10. What new and exciting features are you looking forward to in iOS 10? Let us know in the comments below. Nice list! Hope some of this actually makes it. I'd also like to see better Mail options. 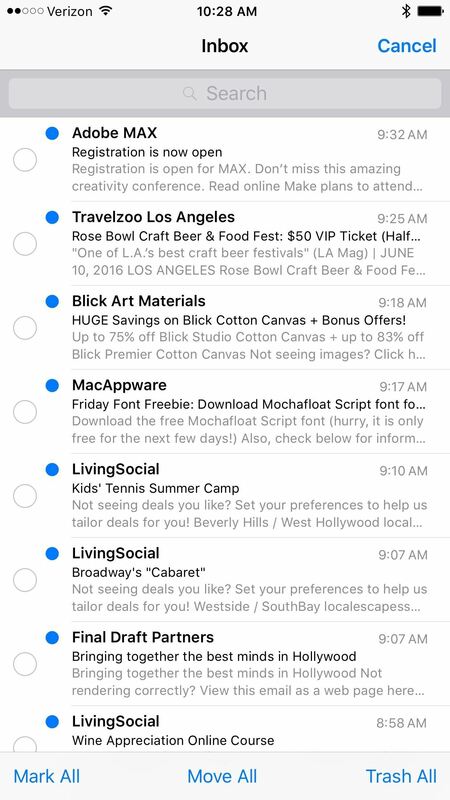 Apple has a "Mark All" option in Mail, but I find it fairly useless. You can only use it in main mailboxes and folders. 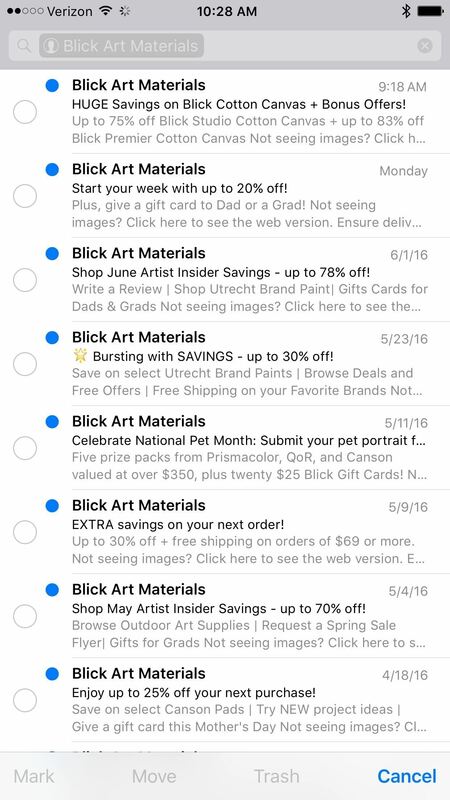 The only time I ever want to mark all is when I'm searching, and want to get rid of tons of ad emails at once—you have to select them one by one. iOS 10 needs to fix this. Or just a freakin' Mail update! It'd also be nice if you had more options for the swipe gestures. Instead of just Mark as Read, Flag, Move Message, or Archive, I'd like a straight "Junk" button, which I'd use more often than the rest. Justin, I agree, the Mail app definitely needs some huge upgrades. Sort of related, I've used Readdle's free email app - Spark, and it's pretty good. IMO, it's one of the best email apps out there in terms of features and design. Definitely worth checking out. Not only ringtones, I would like to add and remove music files, eBooks, etc without the need of iTunes. Just using Windows Explorer or Finder like I do with Android phones. Guille that is a great idea! However, Apple really loves iTunes, so I'm not sure if they will get rid of it soon. I personally don't mind iTunes too much, though it's FAR from a perfect program. That being said, there are alternative programs to iTunes that you can use to manage your device.